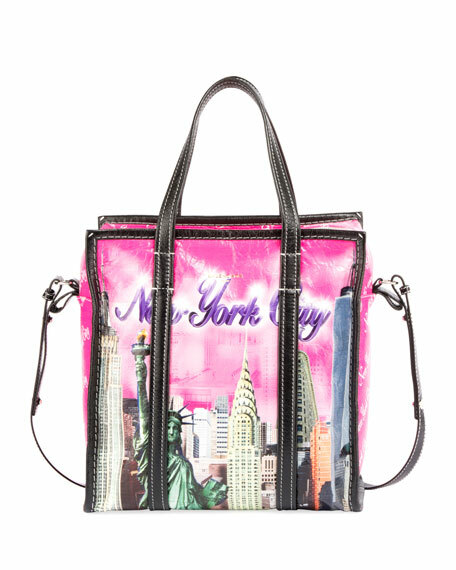 Balenciaga tote bag in lamb leather with "New York City" theme print. Flat tote handles, 5.5" drop. 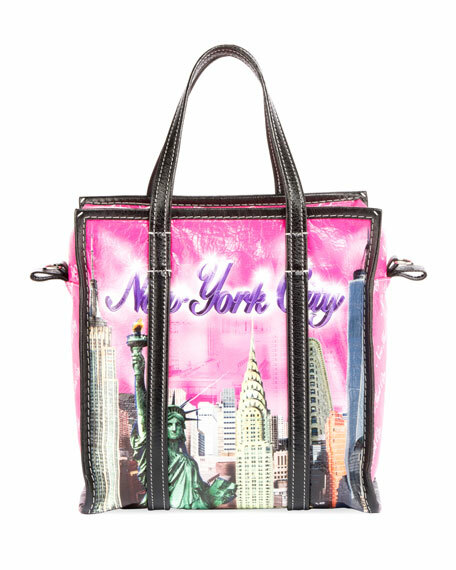 Detachable shoulder strap, 20" drop. Logo flag at top center. For in-store inquiries, use sku #2394724.